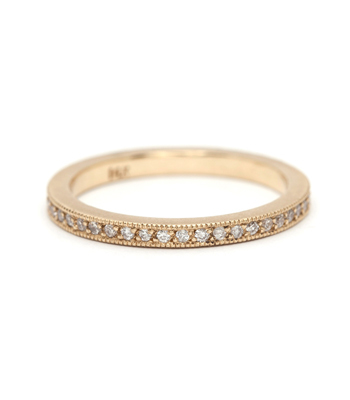 Think of me. 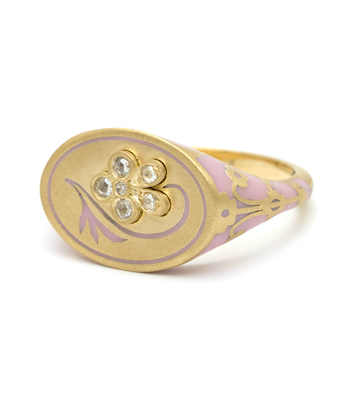 The pansy’s sweet upturned bloom seems to whisper this simple request. 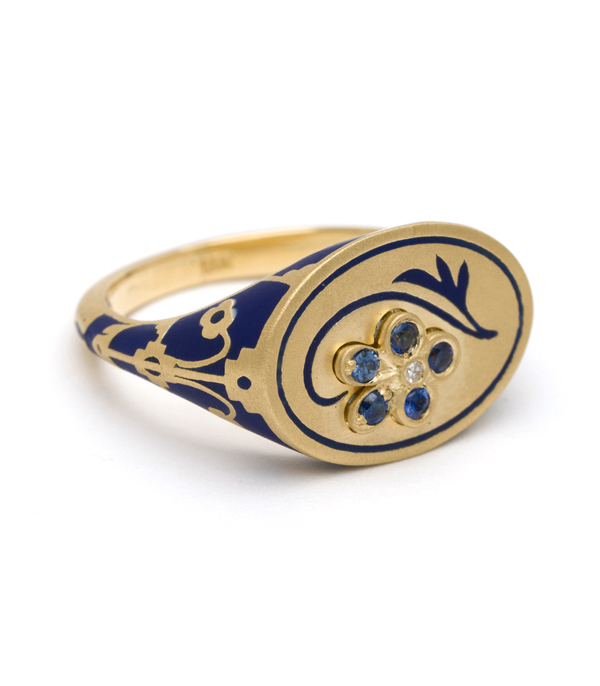 In fact, the pansy flower itself is named after the French word pensée - meaning ‘thought.’ The pansy and its emblem was held in great regard by the Victorians, who admired its virtues of tender attachment, concern and compassion. 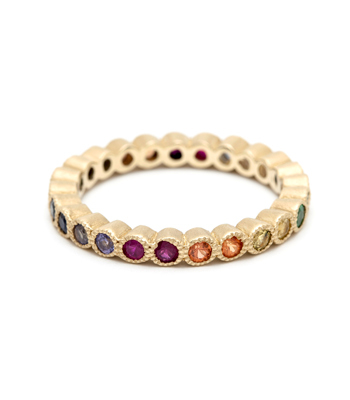 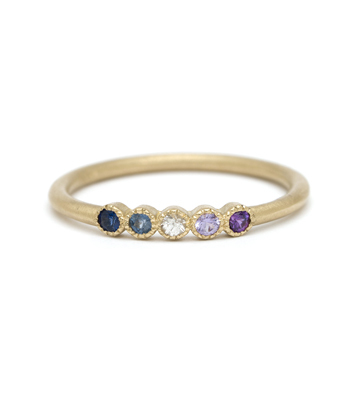 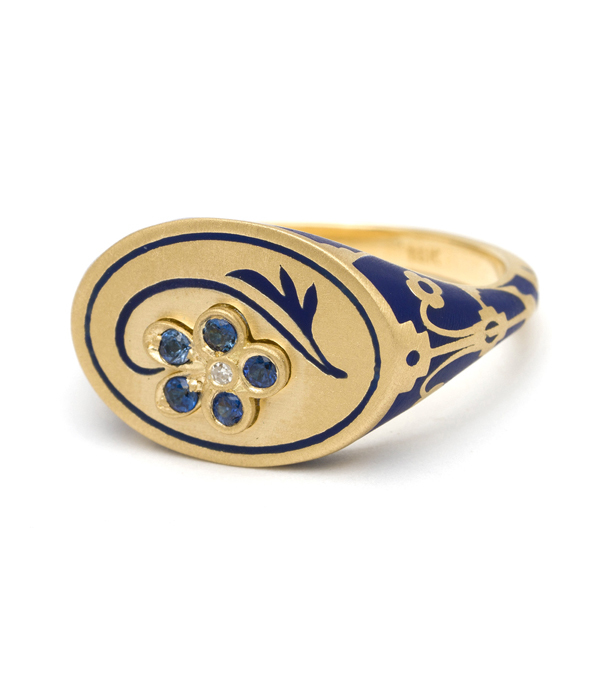 Our signature 18K matte yellow gold pansy signet ring features sapphires, a single cut diamond accent (0.01ct) and a gracefully curved stem accented with navy blue enamel along its flat top. 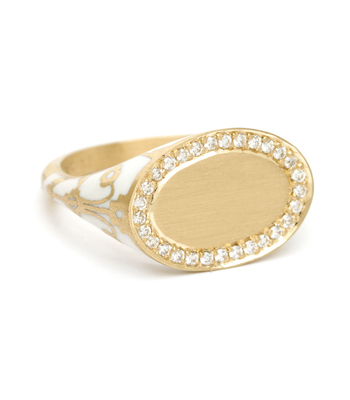 Statement making with its bold patterns and solid form, yet feminine and soft with its lyrical design. 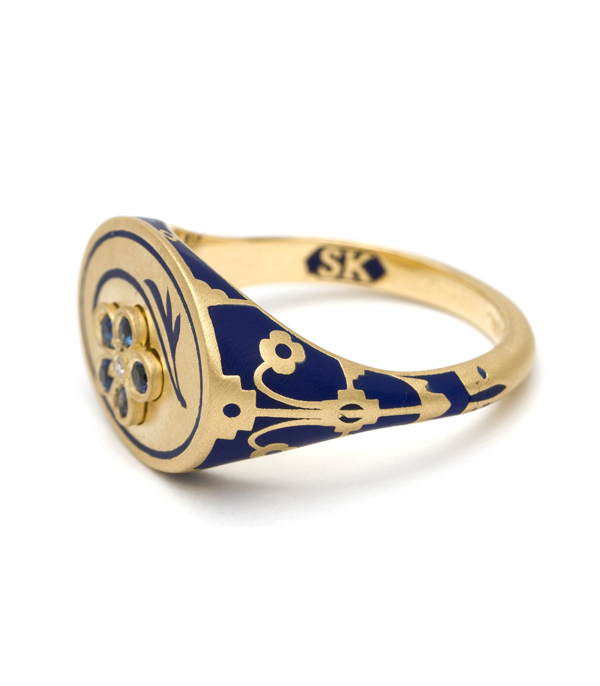 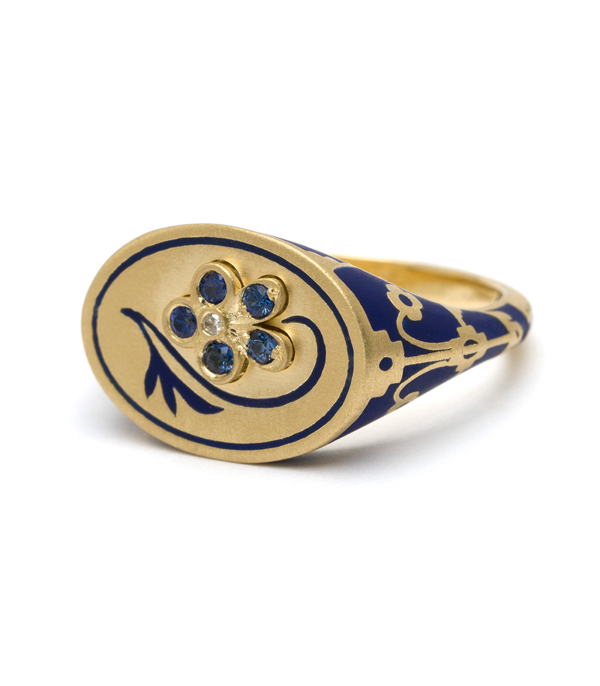 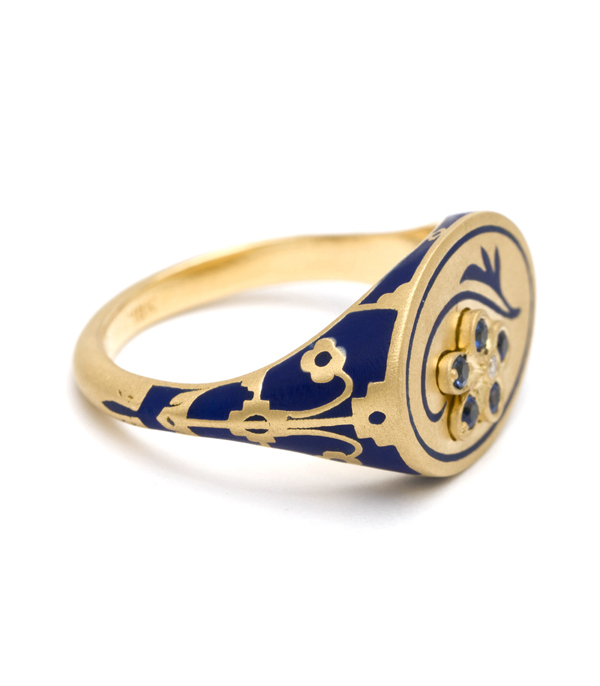 Intricately detailed along the shoulders of the ring with a solid navy blue enamel, this delightful ring makes a perfect gift for a treasured friend or loved one alike. 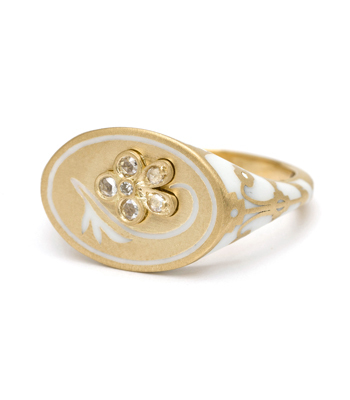 Romantic and modern, this ring epitomizes the sentiment and blend of whimsical and vintage inspired style of our Language of Flowers collection. 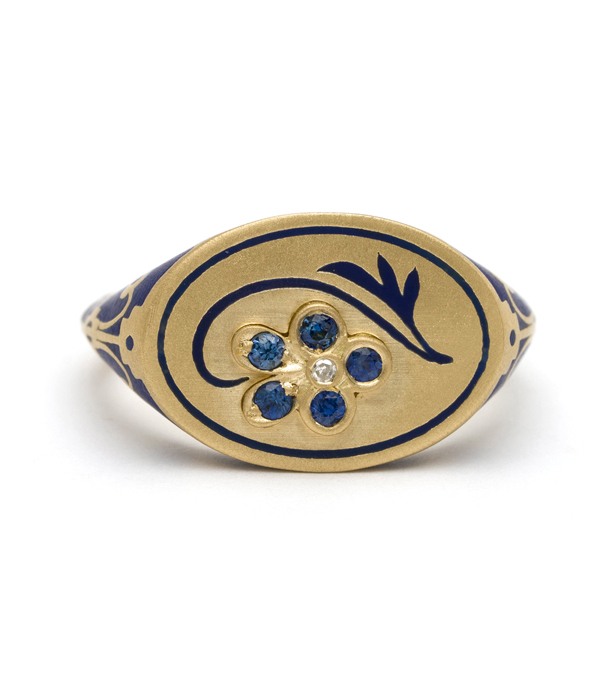 Categories: Language of Flowers, One of a Kind, Rings, Something Blue.